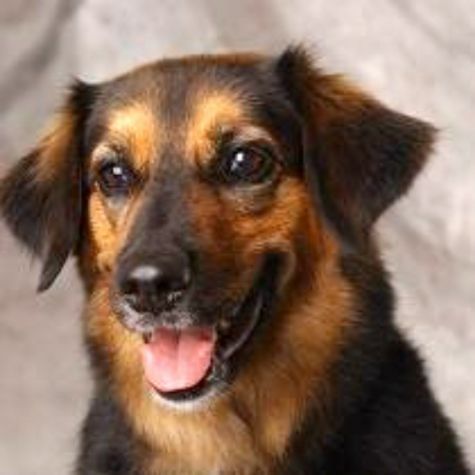 Gracie is an English Shepherd mix. We found her when she was about 6 months old. At first she was afraid of many things: her own shadow, water puddles, traffic noises, etc. She even barked at the other dogs in her obedience class, but we worked hard at overcoming her fears, and she got much better. Now she enjoys herding cattle, sheep, goats, geese, ducks, and pigs. She has appeared in a TV commercial and some short videos. She loves to do school and hospital visits with Love on 4 Paws.